From a young age, Chitose Abe had been interested in fashion. However, growing up in a small village, this had given her nicknames such as “bizarre girl.” At times her own mother did not wish to accompany her for errands. After seeing Issey Miyake on television in fifth grade, young Chitose realized fashion design was a possible career. Her passion eventually led to her working under Comme des Garçons’ Rei Kawakubo and Junya Watanabe for almost a decade. This time was to her benefit and had influenced Abe in finding her own voice. In 1999, after her daughter was born, Abe decided to create her own line, with five pieces of knitwear. To deconstruct one garment to then rebuild it into something new; this is Chitose Abe’s design process for Sacai. Building from one season to the next, Chitose Abe continues to create clothing that defy categorization. Sacai clothing is unconventional and sophisticated. Her signature creative process of destroy and rebuild can be seen throughout pieces from the latest Fall/Winter 2017 shipment. 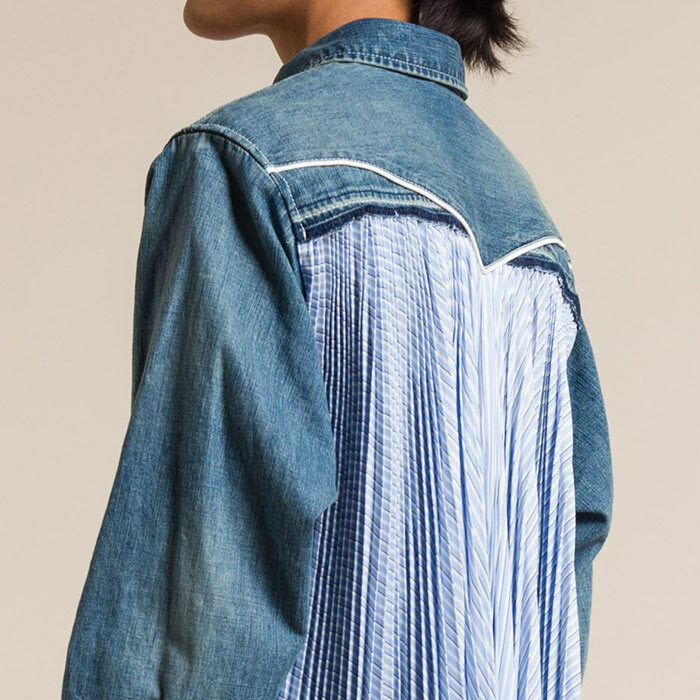 A denim jacket backed in swaying pleats and a flannel jacket turned into a skirt are two examples. The blue dark or light wash denim jacket is rugged and casual. 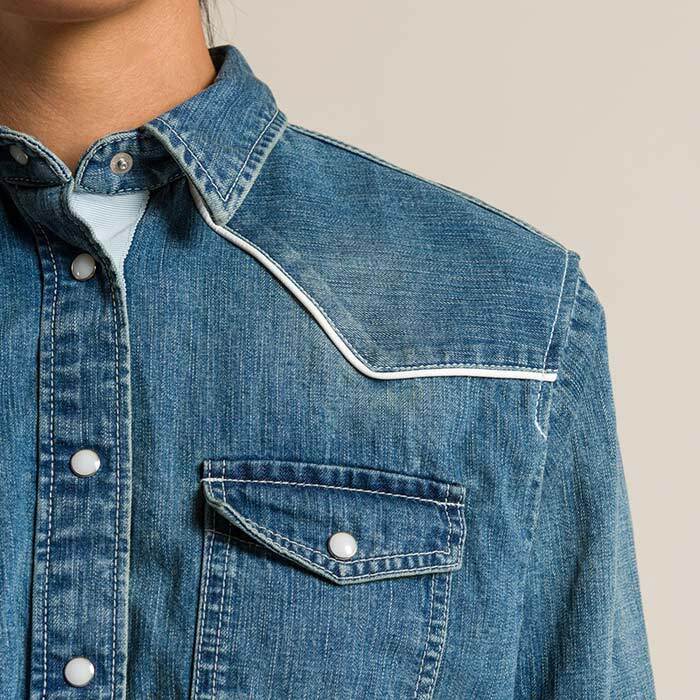 Contrasting yet balanced and versatile, the denim jacket has its back panel replaced with a polyester/cotton pleats. 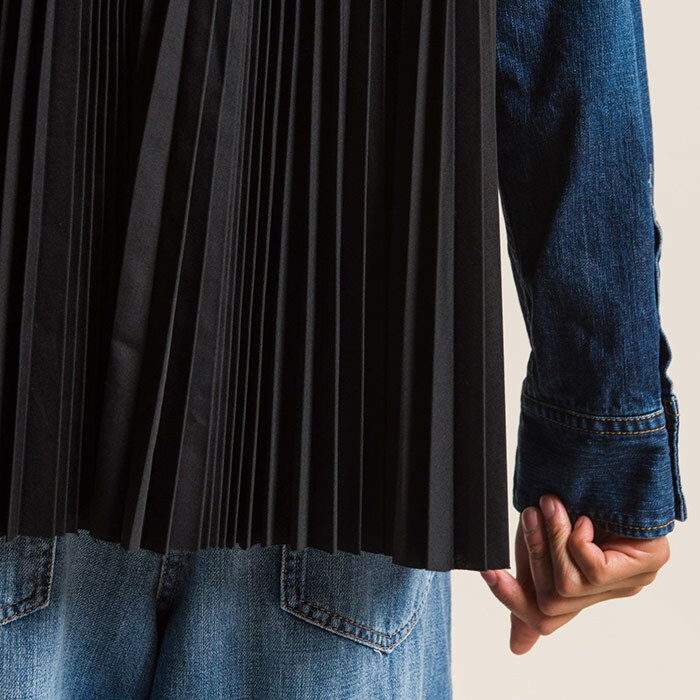 A new take on a familiar garment, a skirt is seemingly made from a black and navy cotton flannel shirt cut into three. 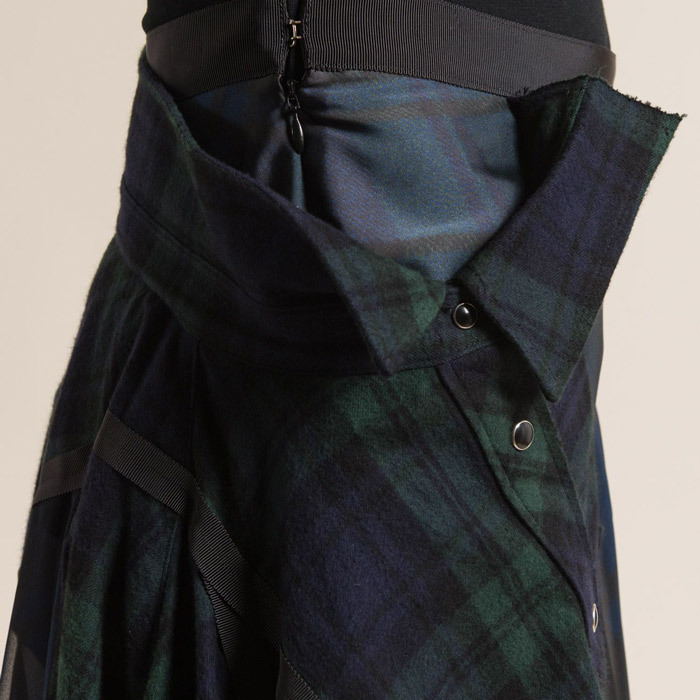 Two sleeves and a button up collar is dissected and reassembled into a skirt using sheer material and nylon strapping. It tricks or intrigues the eye; one’s first reaction may be to ask the logistics of the garment. 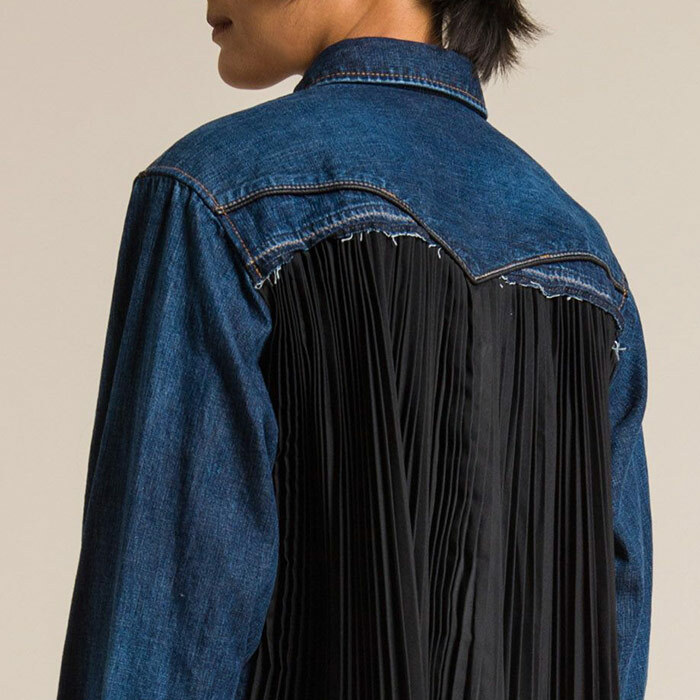 Is it shirt creatively layered or worn around the waist? The pieces fill the role of creative layering—not say that they can’t be layered further. Worn with a t-shirt or dressed up, the pieces walk the line of casual and sophisticated. Sacai clothing complements multifaceted and urban lifestyles.